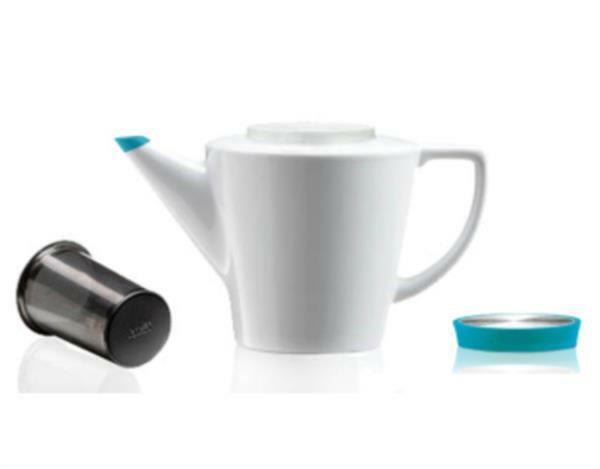 Discover this tea set containing a 1L teapot with infuser and two 25cl cups. Porcelain, stainless steel and silicon. Modern turquoise and white design. Discover this ZENO tea set by BergHOFF containing a whistling kettle (2L), a teapot (0.8L) and a strainer, all made of stainless steel.